Vinyl records, recordings and vocals combine in Portuguese artist Diana Combo’s latest work. I know this, because when you visit Síria’s Bandcamp page, the process of recording is explained. Artists, especially those coming from a visual world before they get engaged in music, love explaining what they do, how they do it, why they do it. How I wish Combo had kept scrum. 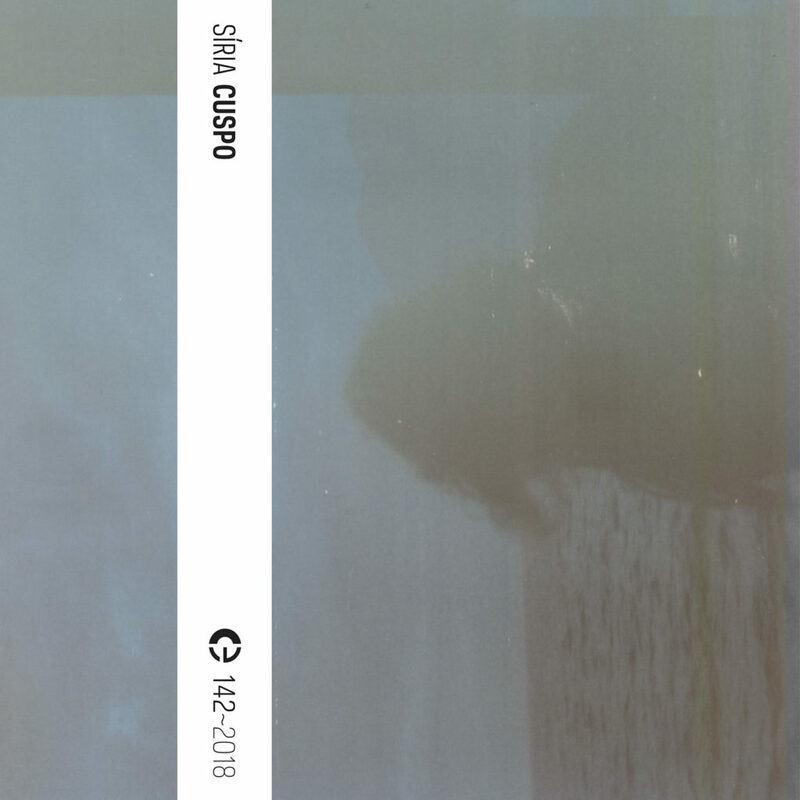 Totally selfish reasons – self-promotion has to be informative, has to reveal things you’d ordinarily only guess at – but I wish total mystery had been maintained about the means of Cuspo’s creation (it was recorded after its first live performance at a Porto experimental festival in 2017). The haunting steadiness of Combo’s vocals is key – emotional movement less important than populating the soundscape with a half-human, half-ghostly voice. The way Combo layers the sounds underneath her voice is interesting – sometimes overwhelming the voice in rushes if traffic noise ad city heat (the stunning “A Lua da Eva”), sometimes absconding to a place not quite tranquil, flooded with water, perhaps not even with land underfoot at all. The fact I don’t speak Portuguese is also key – there’s a suggestiveness to the words in a purely phonetic sense that means every moment the voice gets dubbed or echoed (which is often) you’re pulled along its syntactical shape without getting anchored in any frame of reference. That fluidity extends to the sequencing – tracks flow in and out of each other to the point where apertures into other realities seem to open up in your consciousness. This entry was posted in Reviews and tagged 142, Síria. Bookmark the permalink. Comments are closed, but you can leave a trackback: Trackback URL.